I took this photo of a cactus within a stone's throw of my parents-in-law's home on the Suurveld. 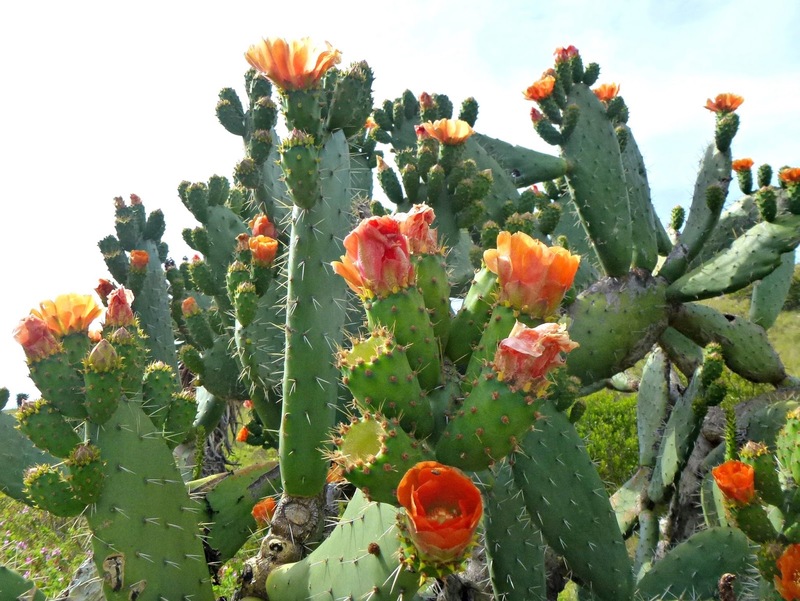 These are fruit-bearing cacti -- the fruit called "prickly pears". They are good to eat, but difficult to handle. You may click on the photo to enlarge.